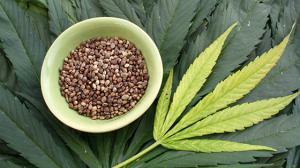 Are Hemp Seeds a Key to New Superfoods? DENVER, COLORADO, USA, February 11, 2019 /EINPresswire.com/ — What is the “coolest”, most innovative ingredient in food and drink? If you answered Hemp, you are correct. Jumping on the hemp bandwagon of hemp are the CEO’s of many consumer packaged goods or CPG companies. Stagnant growth is the death knell for any CPG CEO. A new additive that can be added to an existing product to make it more appealing is ground zero. CPG companies have a few ways of growing. Those include mergers and acquisitions, expansion in new overseas markets or by introducing new products. For management of many CPG companies, the introduction of new or innovative products is at the top of the list. Hemp seeds and hemp seed oil are quickly becoming the “it” ingredients to be added to a growing panoply of healthy foods, beverages, and cosmetics. Hemp is now firmly entrenched in the minds of people as a beneficial and wholesome supplement. You might be asking, how did this come to be and where was hemp and hemp products prior to 2018? The answer is the “Agricultural Improvement Act” more commonly known as the “Farm Bill.” It was signed into law in December and resulted in hemp being removed Schedule 1 status under the Controlled Substances Act. Immediately after the Farm Bill was signed into law, Scott Gottlieb, the Commissioner of the Food and Drug Administration clarified that hemp-derived food products, produced from hemp seed or hemp seed oils are considered by the agency to be “Generally Recognized as Safe,” or GRS. This set the stage for American grown hemp to become a major agricultural crop and for hemp seed, hemp seed oil, and hemp flour to become prime food and beverage additives. Hemp seeds, hemp seed oil, and flour have a rich nutritional profile. The small, brown hemp seeds provide a range of health benefits. They are rich in polyunsaturated fats including omega-3’s and omega-6s. They are also rich in fiber and protein and low in saturated fats. They contain no trans fatty acids. Hemp seeds contain almost as much protein as soybeans. Because the human body does not produce amino acids which must be absorbed through the diet and hemp seeds provide all nine essential amino acids, including arginine which has well-documented health benefits. Much of the fiber in hemp seeds is derived from the shell or outer hull of the seed. Even without the shells, hemp seeds are a great source of fiber. Fiber provides many dietary benefits. Sufficient quantities of fiber in one’s daily diet can reduce appetite, stabilize blood sugar levels and help with weight management. Hemp seeds also contain vitamins and minerals They are rich in potassium, phosphorus, magnesium, and vitamin E. As a beneficial source of zinc, iron and B vitamins, hemp seeds contain niacin, thiamine, and riboflavin. The legalization of hemp and hemp products derived from U.S. grown hemp is what many CPG companies have been looking for as a new product category. Many are now losing no time in contemplating new ways to use this product to enhance their bottom lines. Jeffrey Friedland is the author of Marijuana: The World’s Most Misunderstood Plant, which is available in print and Kindle editions at Amazon.